All candidates who wish to apply for Direct Entry with a Lower Credit grade on their National Diploma (ND) Higher National Diploma (HND) certificates can now do so, as the list of Nigeria Universities you can choose from is below. 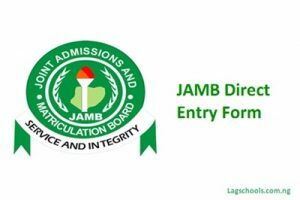 Most Direct entry candidates have Lower credit and most Nigeria University prefer Upper credit, but we have made a thorough research and discover that there are so many other universities in Nigeria that will accept Direct entry candidates based on the admission requirements recorded in JAMB Brochure. Before you apply please make sure you check JAMB Brochure to know if you can apply for a course with Lower credit in National Diploma (ND). As the research continues please be informed that there are Some other schools that accept lower credit that we didn’t mention here, but with time we will update the above list. If You find this helpful, you can click on the Facebook Share button and Share With Friends.